The UK university entry requirements vary depending on the type of the course you’re applying for, the academic level, your nationality, and the University you’re applying for. This is mainly because universities are allowed to set their entry requirements based on their own preferences or their own internal policies. The university entry requirements are made to assess your suitability for the degree course you’re applying for. Said otherwise the application process highly depends on matching with entry requirements and therefore is a section you must pay extra attention. The very first criteria you need to meet at UK universities are your academic qualifications and grades from the previous education. Depending on the academic level of your chosen course qualifications and grades required may vary. This is a responsibility of the university, so before initiating an application you must contact and ask what are the exact requirements. Since most UK universities are highly competitive you can expect to be required to have higher grades and highly-regarded qualifications. Most UK universities apply entrance tests to filter out the best candidates from all applicants. If you score high chances are you get admitted. Overall, the purposes of conducting these tests are two: to select the best students and to evaluate the suitability of foreign applicants who have attained a qualification from a foreign educational system. In these tests, you’re going to be tested about core and major concepts in the study field you’re willing to attend a course, and also from closely related subjects. It may happen that after the test you’ll receive a feedback about what were your strong points and based on it, you can receive suggestions regarding the selection of your course. Surely there’s no need of saying that as long as UK universities collect a large number of applications, these tests are hard and therefore you need to learn intensively. If you’re not a native whose first language is not English, to apply at a UK university you’ll need to show excellent language proficiency. The UK universities, scope for students who can independently communicate and understand the materials taught in lectures and consequently succeed in their education. 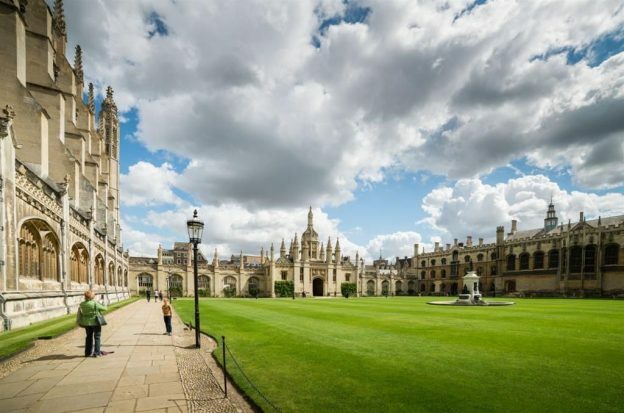 There are various English standardized tests admitted at UK universities. The IELTS is more common in UK, since British academics designed it, but other standardized tests like TOEFL or UCLES are as well accepted. When taking one of these exams, make sure to score high because language proficiency is not only a requirement to proceed with the application further but also add points to your application. Naturally, as in any other type of application, your university application should contain an ID document. In simple words, every document that in a way identifies you can be accepted. Usually, a copy of your personal ID or a passport photo is required for this section. Since UK universities are top-ranked and highly selective the number of available places are most of the time limited and way lower compared to the number of incoming applicants. As such, additional documents to divide outstanding talents from very good applicants are required. Mainly this is achieved through submitted relevant references and experiences you had previously. The admission will use these documents as a proof you have the necessary academic and professional competence to succeed in your chosen course. The time you spend in that particular experience, the role you carried on and the relevance of that experience in your professional field are three main factors that determine the score in this section. Interviews are not very often as an entry requirement at UK universities. In a way, interviews are the final processing stage of your university application. During an interview, the commission may be interested to closely understand your motivations and goals and their corresponding with the desired courses. They are usually necessary when there are many students for a limited number of available places and the admission board has to rely on additional methods to select the best candidates. As such, interviews are most common at highly-reputed universities. Note: Interviews can be held online through Skype. Under certain circumstances, the university is allowed to burden you with additional requirements. These additional documents most of the times include motivation letters or personal statements, but other documents may include health, financial and criminal checks. On a motivation letter, you describe your personal motivation regarding the application for the course, your strong points and your goals for the future. Though it may be an extra requirement its importance is highly decisive for your admission. Applicants that are clear on their goals and know exactly what they want from their degree are being highly valued from admission boards. Therefore, you should strive to make a brilliant motivation letter that will precisely and effectively present a unique profile of yours in order to increase your chances of getting admitted. Submitting a university application must be preceded by diligent multiple overlooks over your application paperwork. There are many documents and formalities you need to complete and it all amounts to a great focus. Furthermore, entry requirements change depending on several factors like your nationality, the academic level or the type of the course, you’re willing to enroll. In the end, if there’s a single document or a single signature your application will be declined without a second thought. To avoid such an unwanted scenario you must always take as much time as possible reading carefully the UK university entry requirements. For any uncertainty, you must mail the university, so they will explain the procedures in details. When your application file is ready give another closely overview to check if you missed any minor detail.